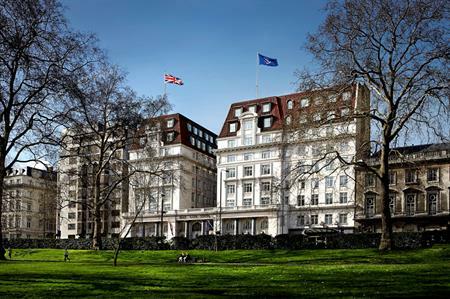 Sheraton Hotels & Resorts has announced the reopening of the Sheraton Grand London Park Lane, following a full renovation to its rooms and public spaces. The hotel group announced the designation of the Sheraton Grand London Park Lane under its luxury brand name, following the renovation. The property joins 32 other Sheraton Grand properties worldwide. The 303-room hotel has undergone a complete transformation of its guest rooms and public spaces, combining the modern touches of a luxury hotel with restoration to retain the original features of the property. The renovation features the addition of 43 Sheraton Club rooms and suites, a private space where guests can enjoy complimentary breakfast, drinks and snacks during the day, a taste of The Palm Court afternoon tea, a full bar and evening canapés. "Following a stunning renovation on this Art Deco hotel in the heart of Mayfair, we are very proud to welcome the Sheraton Grand London Park Lane into this premier tier of hotels as it represents the Sheraton brand’s new elevated and customised approach to design," said Elena Mendez, vice president, Sheraton, Westin and SSB brands in Europe, Africa and Middle East.